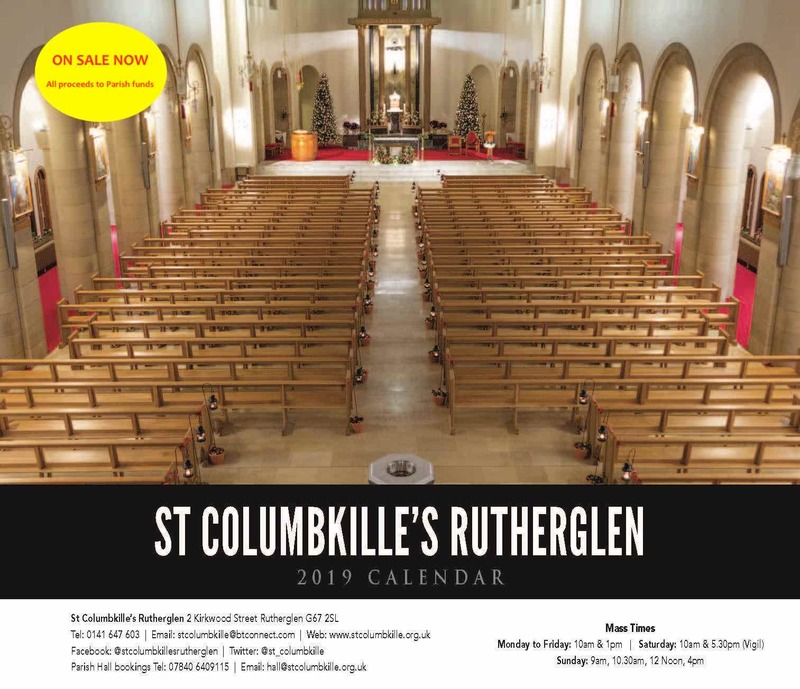 The Parish Calendar for 2019—featuring lovely photographs of our Church, 2019 First Communicants & Confirmandi and Primary 1 pupils—os now on sale (£3.00). A nice Christmas gift. All proceeds to our Parish funds.